Representative Henry Aquino, a lifelong Waipahu resident, uses his background, work experiences and continued community service activities to promote progressive and compassionate legislation on behalf of the residents House District 35 (Waipahu, Crestview & Seaview). Legislative priorities include: revitalizing the State's economy and the creation of jobs and business opportunities, expansion of infrastructure services, support for the visitor industry, and crime reduction and public safety. During his first term in the State House, Henry introduced legislation to reduce graffiti, which passed the Legislature, was approved by the Governor and enacted into law. Representative Aquino is a graduate of Waipahu High School. 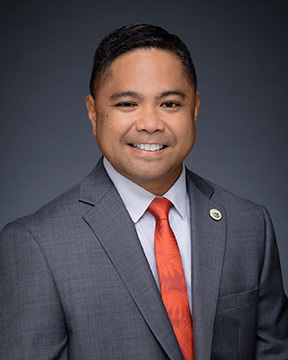 He holds an Associate Degree of Applied Science (Administration of Justice) from Honolulu Community College, a BA in Public Administration from UH-West Oahu, and a MA in Communications from Hawaii Pacific University. Henry is married to Cyndi Aquino, a pediatric surgical nurse, and in the final days of the 2010 legislative session became a first-time father with the birth of a son, Ethan.